TBJEE 2019 Admit Card has been Available now. Tripura Board of Joint Entrance Examination is commonly known as TBJEE. The Tripura Board of Joint Entrance Examination is responsible to organize an entrance exam every year for the eligible applicants. The Tripura Board of Joint Entrance Examination conducts the entrance exam at the state level for the applicants every year. TBJEE 2019 Registration can be done till 10th February 2019. The Tripura Joint Entrance Examination which is also known as TJEE is the entrance exam which is conducted by the Tripura Board of Joint Entrance Examination (TBJEE) every year. Applicants who are interested in getting admission in different undergraduate courses in the field of engineering in different disciplines offered in different universities and institutions located in Tripura needs to appear for the entrance exam conducted by the TBJEE. However, with the help of the entrance exam applicants will be able to get admission in the courses. Official authorities will provide admission to the eligible applicants in B.Tech courses with the help of the entrance exam. As applicants who have scored well in the entrance exam will be eligible to get admission in the institution. 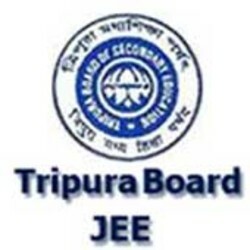 In the state of Tripura, eligible applicants who have scored well in the TJEE and hold a valid score card of TJEE entrance exam will be eligible to get admission in different engineering colleges which are offering B.Tech courses to the eligible applicants. TBJEE 2019 Admit Card has been Available Now. Click Here to Check Details of Admit Card. TBJEE 2019 Exam Date has been Announced Now. The Exam will be Held on 24th April 2019 (Physics & Chemistry) & 25th April (Mathematics & Biology). Click Here to Check Exam Date Details. Admit card will be available in online mode on the official website of the university for those applicants who have successfully submitted the application form and have registered for the entrance exam. Applicants need to visit the official website of the university with the help of the login credentials like application number and password generated at the time of registration. TBJEE 2019 Admit Card has been Available now. Applicants are instructed to download the admit card from the website using the login credentials. After that applicants need to take a printout of the downloaded admit card for further usage. Admit card should be carried at the time of examination along with ID proof. Admit card is an important document that includes information like applicant’s name, roll number, date of birth, exam date and time, exam center, the address of the center, etc. and so it should be kept safely. TBJEE 2019 Registration has been Started on 21st January 2019. TBJEE 2019 Registration can be done till 10th February 2019. Applicant needs to visit the website and register themselves. After that applicants need to enter necessary details in the application form. And then applicants need to upload some required documents in the application form as needed. Once the form is completely filled applicants need to take a printout of the duly filled application form. And then pay the application fee and submit the duly filled application form. Applicants who belong to general category need to pay Rs 350/- as application fee for the admission procedure. The application fee for the admission procedure is Rs 300/- for those applicants who belong to reserved categories like SC and ST.
BPL applicants need to pay RS 250/- as application fee for the admission procedure. Rs 200/- is the application fee for those applicants who belong to BPL SC and STfor the admission procedure. One should be a permanent resident of Tripura state in order to appear. Physics, chemistry, and mathematics should be necessary subjects in the HSC exam in order to apply. More than 50% marks in the qualifying exam should be achieved by the applicant in order to get admission in the institution. Objective type multiple choice questions will be asked in the entrance exam. Applicants will get two hours to solve the question paper of the entrance exam. 100 questions will be asked in the question paper of the entrance exam. Each correct answer will grab two marks in the entrance exam. No provision for negative markings in the entrance exam. Applicants can match up to their answers with that of an answer key to analyze the guess score. You might guide the feedback on TBJEE 2019 Exam answers on the official email address. Not only entrants who seemed in the entrance examination but then again also any other contenders, guardians or any other expert bodies can also send the proposal for the improvement in the Answer key. In the month of June 2019 official authorities will release the results of the applicants in online mode on the official website of the university. Applicants need to download the scorecard from the website with the help of the application number and password. Applicants are advised to keep a printout of the same. A merit list of the nominated applicants will also be updated on the official website. The merit list will be based on the marks obtained by the applicant in the entrance exam and will be prepared by the authority. Applicants whose name has appeared in the merit list are instructed to be present in person at the time of counseling in order to get admission in the institution. Authority will release all the details related to the counseling on the official website itself for the reference of the applicants. For any other queries about TBJEE 2019, you can leave your queries below in the comment box.